Many a times so unexpectedly God’s kind grace is bestowed on me for what reasons I don’t know. Perhaps I may have done a kind act, or in moments of great reverence or devotion must have poured out loving feelings for the beloved God? In connection and reference to the above, further knowledge was given to me on that auspicious day. Shri Mahavatar Babaji explained to me, “After enlightenment, there are three types of experiences that are experienced by the yogi-bliss peace and silence- Ananda, shanti and shunya respectively. For the yogi, attainment of joy and peace are essential to detach from worldly obligations and karmic burden. His karmas produce only ananda and shanti-joy and peace. He gives enlightenment to all those who come in their lives. Most sadhaks are not aware that that there is something more beyond ananda and shanti and that is shunya-silence, silence of mind. Karmas originating from periods of intense silence are like dynamite. However, unlike dynamite they are not fatal or explosive. On the contrary they are resilent, constructive and effective. They bring about a significant change in someone’s life if they are directed towards the welfare or spiritual improvement of some person who deserves those dynamic thoughts. 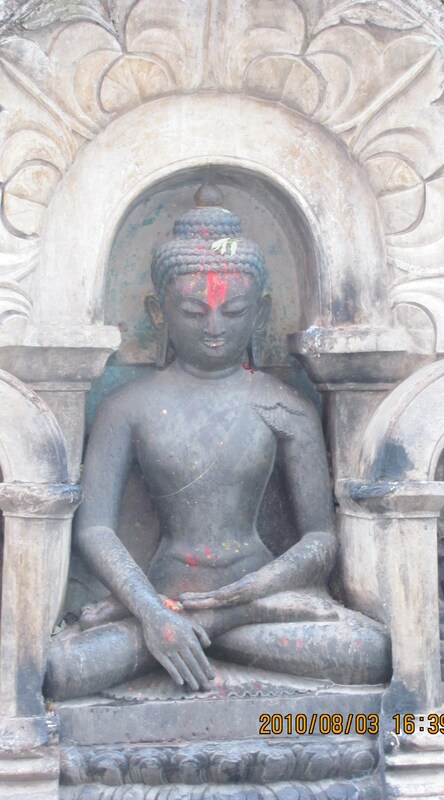 Karmas are of two types-gross and subtle called sthool and sukshma karma respectively. The thoughts and actions visible to others that are done by the senses are gross while the ones that are done invisibly by us with our mind are the subtle ones. Usually what our eyes see or what our ears hear are considered karmas or actions by a lay man. But know that our thoughts are also our karmas because they yield results someday. Managing, controlling and riveting the subtle thoughts on one point or at a centre is a subtle act or sukshma karma which ultimately increases our working power- the Kriya Shakti . Like karmas, thoughts are also of two types- gross and subtle type. Thoughts that are born and harbored in the mind, that are bubbling and swirling during day and night inside a man are in fact his subtle thoughts. One day they produce either negative or positive results. Subtle thoughts of compassion, love, kindness, charity, empathy are positive karmas. The prodigal and uncontrolled thoughts that are emanating in the background are our subtle negative thoughts. The later ones are more harmful and troubling as there is nobody who can see them and their results are detrimental and unfavourable for us. They will be unbearable to endure now and in future. Such injurious acts propel and throw us on harmful and destructive path and should be therefore discontinued. The after effects or fruits of the actions called karmafal borne by the doer is also in accordance- either gross or subtle which show up in future course of time. The result of our actions manifest only when the time is conducive in nature. The mind is by nature fidgety, frivolous and impish. It likes to rush and surge downwards instead of upwards. When this feature is expressed by our mind, we are not even aware that this silent act of the mind is in fact creating a new karma though silently and one day we will have to bear the ill consequences in accordance to the laws set by the Providence. So this same mind when brought into control with right methods and practice and turned inwards from the delusion or maya of this world called sansara, gives us immense joy, happiness and relaxation and along with this, we escape the wrath of negative actions or karmas. We begin to perform only those actions which are beneficial according to the cardinal rules of the Universe. If we begin now to spend maximum time to bring our uncontrolled mind and senses in our control, the same mind shall be our friend and not our foe. When our mind is immersed in God and functions under the guidance of the Divine we experience the bliss of heaven in our current life. All our past sins are extinguished and our life becomes sacred and beautiful. The mind is saturated with peace, love and goodness. The seeker should therefore save his energy as much as possible and controls his senses to have a pure and peaceful life and also to enrich himself in many ways. Those who follow the good advice of their spiritual Master their future is bright and the forthcoming lives are created which are also wonderful, superior and righteous. The grosser the matter, the lesser the consciousness in it. The subtler the matter, the higher the consciousness. The subtler the thought, the more the energy in it. The more energy we possess in this way, the more power we have to do actions. Or we can say, the subtler our thoughts, the more power we have to do the actions and we increase our Kriya Shakti manifold in this way. A note- The subject Kriya Shakti has three parts I, II & III. If you must have noticed in part I there was a picture of just a bunch of yellow Amaltas flower dangling on a branch. 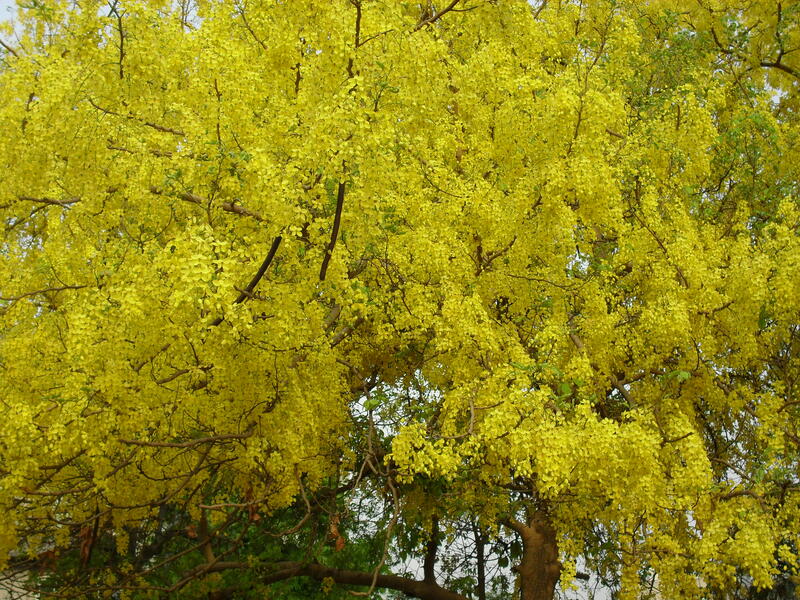 In part II, there are a few branches with some flowers while in part III, I have uploaded a picture of a huge Amaltas blooming tree as you can see here. In the beginning of this article, I have mentioned that knowledge that is attained by a seeker after self realization can be intense, very intense or blazing . The three pictures represent the three stages respectively. This entry was posted on Monday, June 20th, 2011 at 11:58 pm and is filed under Uncategorized. You can follow any responses to this entry through the RSS 2.0 feed. You can leave a response, or trackback from your own site. Again another erudite post on mind and its subtleties. I had read an article on Nikola Tesla – one of the greatest electrical and mechanical scientists of the 19th century where he had mentioned that most of his revolutionary and breakthrough research ideas emanated in his mind days before, either in his dreams or while taking walks. Many other stalwarts in their respective fields have owed their success to mind-control. Keep writing more such posts, as you must know how much they help me everyday! Deepanjan, a pleasure to hear from you. The last post Kriya Shakti-III is on how we can increase our power and quality of actions by making our thoughts subtler, lighter and full of consciousness. Our actions and thoughts are interdependent. The more subtle our thoughts the more energy we possess in terms of qualtity as well as quantity. This reminds me there is one very good article guided by our sweet Mother on our consciousness and our spiritual evolution in ‘The power of praying intensely’. I am sure you will connect to the ideas of the Mother’s thought. Go thru it once and you will realize how we are solely responsible for our evolution and how careful should we be in creating the kind of actions now and today. Thanks for enlightening me on the scientist Nikola Tesla. Such people’s concentration is very sharp and onepointed and hence they are able to catch the wave-length coming from the higher skies. If you are interested to know something more about it, then please go to ‘The process of liberation’ and see what I have written about -like how the scientists, researches are guided by the illumined souls. Dear ma, thanks for this post on kriya shakti.pranam to param guru sri babaji and ma. want to be in your light, not in the darkness. my lord, guru, Bless all of us who are in the path of spirtualiy, who are not even started, who are not even aware of it. please give us the power to go forward inside. Thanks guru Sri babaji and ma for this platform.